Mothers Day in UK is celebrated with great excitement and verve but it does not fall on the same date as in US. In UK. 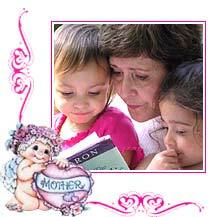 Mother's Day celebrations takes place on the fourth Sunday in the month of Lent. Since the Lent days are not fixed, the date for mothers Day changes every year. Mothers Day came to be celebrated in UK in 17th century as Mothering Sunday, much before the custom began in US. Mother's the traditional festival of Mothering Sunday is more commonly called as Mothers Day in England and is celebrated in much the same way as it is celebrated in US. On this day children give flowers and bouquets to their mother to express their love for them.